The garage is often the first this you see when you get home from work, school, or running errands. Many homeowners are coming home to a cluttered mess that is difficult to navigate without a twisted ankle. No one likes wading through clutter, or finding creepy creatures hiding under those bins you have piled high. For years, we have been creating garage organization in Pheonix that allows homeowners to safely and easily navigate their garages. After we have installed your new garage organization systems, we promise to teach you the ins and outs of your new system. Our products are so strong and durable that we back them with a lifetime warranty. We don't just install the systems, we also help homeowners organize their items on their new storage systems. Give us a call or shoot us an email today for a free estimate. We are standing by to help you create the perfect system for your unique needs. You could have the most organized garage in Phoenix before you know it. -Easily tailored to fit individual storage needs as they change. -Strong enough to hold up to 1,000 lbs for every 4 ft of shelving. -Hang items from our shelves to store more in layers. -Manufactured with a power-coating that is resistant to scratching and corrosion. -Spend less to hold more. Our products allow customers to store 3x more than competitors. 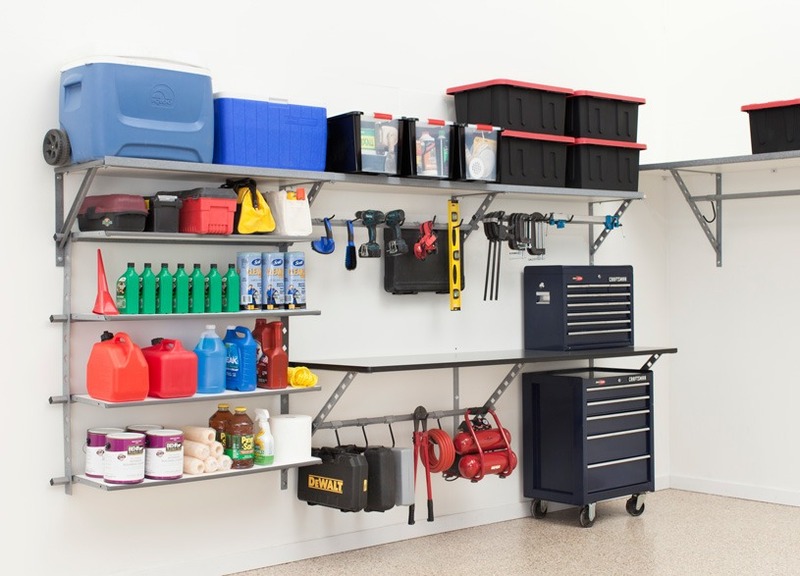 Get the #1 garage organization in Phoenix. Create more garage space and have the ability to park your vehicle in the garage. No more worrying about your storage changing because our garage organization system adjusts to your growing storage needs. Monkey Bars Garage Systems was featured on the TV shows, Extreme Makeover Home Edition and Property Brothers and helped create a fresh new look on three different homes on the show.